Forget the truth. It’s the narrative, stupid. 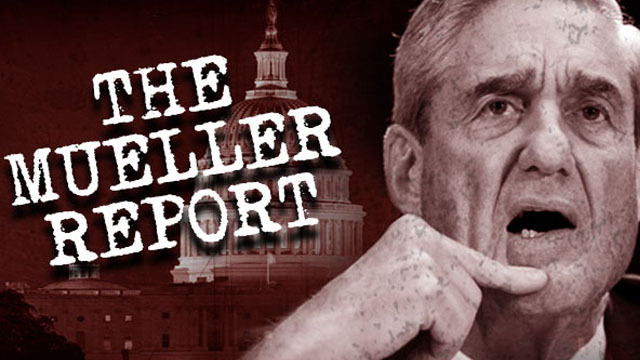 The legacy media debacle, ignited by the empty Robert Mueller report, is the beginning of the end for the fake news bunch. Desperate for a morsel of hope in keeping their clickbait fresh, and to avoid any direct comeuppance for the lies they told on national television, the fake-newsers are now peddling a bizarre Attorney General Robert Barr coverup scheme. The outcome, as reported by Barr in a summary letter to Congress, was a shock to the partisan media hacks who spent the past two years publishing unsubstantiated reports, trafficking in rumors, promoting wild Russian asset conspiracy theories, propagating pure speculation masquerading as analysis and pushing claims from anonymous sources in order to construct a fictional narrative designed to overturn the result of the 2016 election. Or excuse it. The Trump-Russian collusion cable television hoaxers pushed a story with no direct evidence based on a fake dossier for two years. The gamble was an easy way to explain away Trump’s victory. While they ramped up a narrative based on wild conspiracy theories, they drove fresh advertising dollars by increasing web-clicks and viewers who wanted desperately to believe them. Many of the complicit elected officials are now red-faced and in media seclusion. Ranking member of the Senate Intelligence Committee U.S. Senator Mark Warner (D-VA) is one of the biggest culprits, and he’s nowhere to be found these days. Warner went on the Sunday show circuit week after week and assured us he had evidence of collusion, and that more was coming soon. When he broke with Intel Chairman Sen. Richard Burr (R-NC), who said he had seen nothing and bailed, Warner claimed he had alternative facts. None came. For those of us who took Warner seriously, where’s the beef—or the apology? The legacy media propagandizers, desperate for their phony Trump-collusion narrative to be pushed out at all costs, are now eating their own. For the last two years, the legacy media promulgated a blatant lie about President Trump’s supposed collusion with Russia — but in order to keep the charade going, they had to make sure that their audiences weren’t exposed to conflicting viewpoints. Remarkably, this big lie is not the end of the story. It’s the beginning. Multiple journalists and media commentators have alleged that not only did major media outlets selectively emphasize coverage that fit their collusion narrative, they actively suppressed skeptical and dissenting voices—from the left! The left-leaning journalist Glenn Greenwald, for instance, recently claimed that he and several other commentators were banned by MSNBC because they questioned the network’s collusion coverage. “There was a whole slew, not just me, of left-wing journalists with very high journalistic credentials, far more than anyone on that network, like Matt Taibbi and Jeremy Scahill and many others … who were banned from the network because they wanted their audience not to know that anybody was questioning or expressing skepticism about the lies and the scam they were selling because it was so profitable,” Greenwald said. According to Greenwald, MSNBC’s obsession with the Russian hoax was motivated by the network’s long-standing failure to attract viewers — a problem it solved by airing sensationalist reports about the collusion scandal. Another well-known liberal, the prominent legal scholar Alan Dershowitz, also claimed that he was banned from appearing on CNN — a network that often claims to be nonpartisan and objective. Banning credible experts from sharing views that do not fit a preordained, partisan script is one of the most insidious tactics of the biased media — unlike factual errors, which are at least subject to public scrutiny, media booking decisions are made behind the scenes, making it nearly impossible to know how widespread this sort of covert censorship really was. Now that Robert Mueller has debunked the collusion hoax and proved that Greenwald and Dershowitz were right all along, it’s clear that blacklisting insightful criticism of the witch hunt was the only way they could keep their audiences from figuring out the truth. John Fredericks is a syndicated radio morning radio talk show host heard in the Mid-Atlantic. He served as Trump for President Campaign Chairman of Virginia in 2015-16.